Here is a great western jar that comes in many colors. 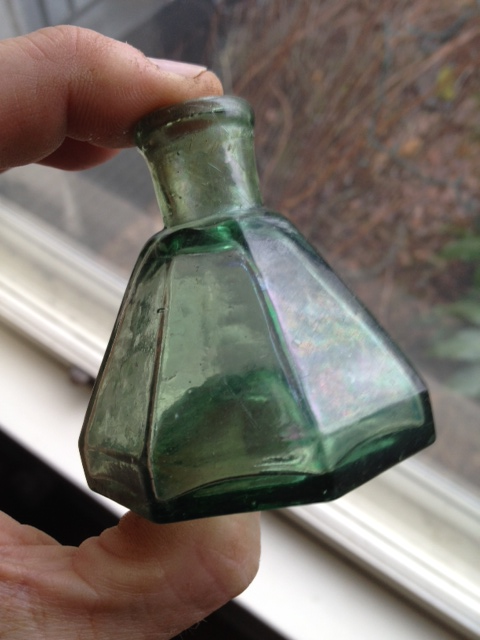 I have seen cornflower blue and green examples, but have also heard rumors of an amber example known to exist. Is that true ? 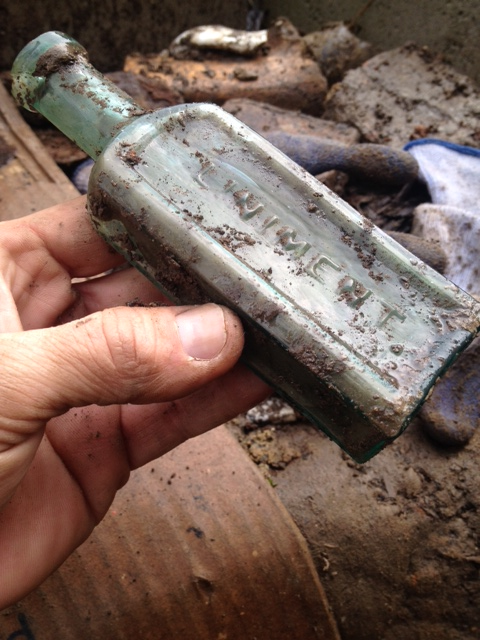 Based on the below ad it looks like the Pacific Glass works could have began producing the Victory Jar some time in 1870. How long of a run did these jars have ? 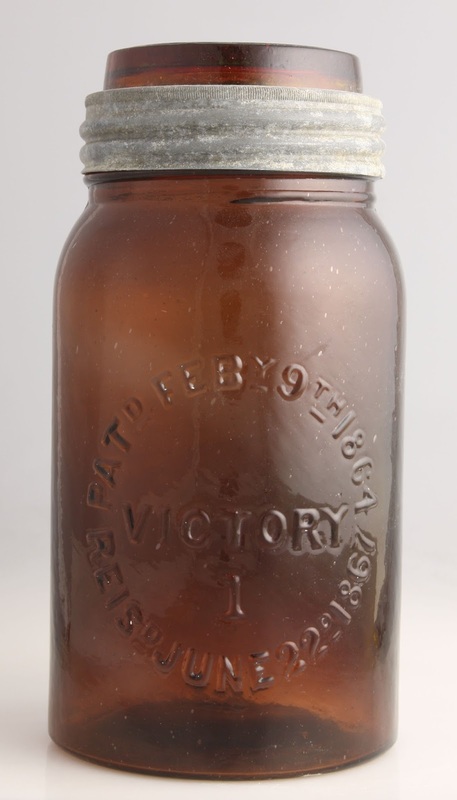 The below article does not mention any Victory Jars being made in 1876 after the merger, but it does note Gems, Masons, and wax sealers. 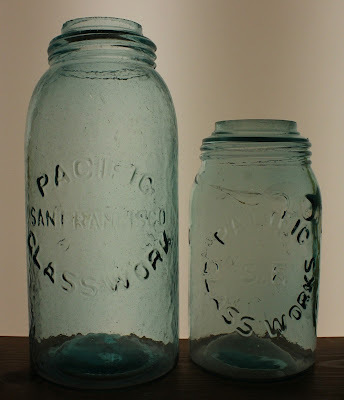 Did the SF&PGW continue to produce these jars after the 1876 merger, or are these jars strictly 1870 to 1876 ? They often come out of 1880s or later holes, but if anything would have sat in the cupboard for 10 or 20 years, a fruit jar would be it. Which variant is the rarest ? Does anyone have any photos of a blue example ? The look was mirrored on both of their faces; a combination of frustration and despair. Their good fortune had run out. Nearly fifteen years prior, the world had been their oyster, possibilities endless. They'd first settled just over the Oregon border on Daisy Creek, upstream from the burgeoning gold rush rag town of Table Rock City. Nuggets were thick like fleas on a dog; there for the picking. That was the winter of 1852. It was cold and wet, but the easy pickin's more than outweighed the creature discomforts. Jackson Creek was rich in placer gold, and a man with a pan and a rocker could make easy wages when things got too crowded over on Daisy. Things got "citified" quick and soon Table Rock City had its name changed to Jacksonville. It sounded more "civilized". The tent city soon saw framed houses replacing rag tents and a couple of brick buildings sprang. Yep, the rest of the world had caught up with Southern Oregon, and so the pair of miners moved on. Rumor had it that gold had been discovered about 60 miles north, in a town that would later become Canyonville. "Pickin' it up in chunks" was the word. And so north they trekked; pans, picks, shovels and supplies strapped to their trusty mule. Sure enough, there was gold. Lots of it. Their claim paid. Not richly, but enough to keep them in beans, bacon and whiskey. But suddenly, almost fifteen years to the day, the pay streak pinched out. And once again the look mirrored on both of their faces was a combination of frustration and despair. Their good fortune had run out. Just as well, they thought, Canyonville too had become "citified". Besides, word had it that another rich gold strike had been made. 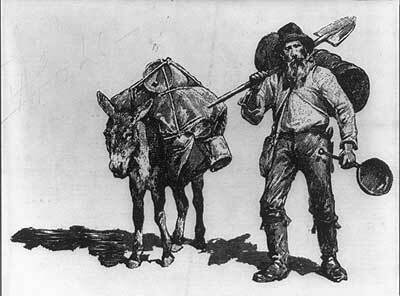 And so they strapped pans, picks, shovels and supplies to their trusty mule, and headed out, only this time back south. 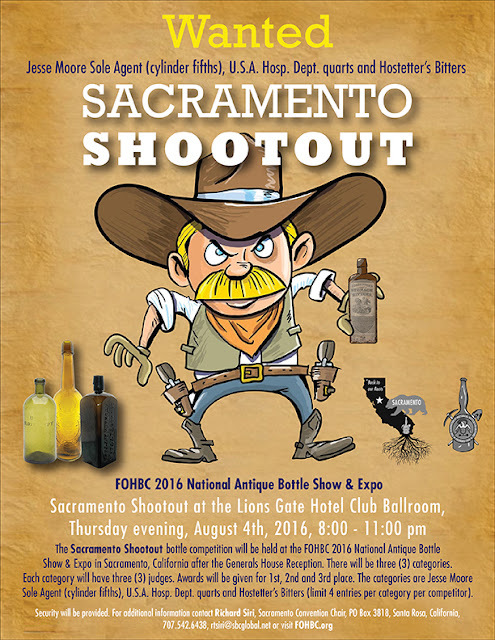 South to the Rogue Valley and what was now The State of Jefferson; back to their roots. My wife & I moved to the Rogue Valley of Southern Oregon back in 1975; two kids wet behind the ears, just out of San Jose State. We'd heard that the area showed promise, and knew that the Bay Area no longer held anything for us. Like the miners in days of old, we trekked north to Southern Oregon, only in a 1971 Toyota Land Cruiser instead of on a mule (now that I think of it, there were similarities). There was a bottle club here back then; "The Gold Diggers". They'd been around for years, and the shows back then were held in Jacksonville. A couple of years later, due to folks moving, dying off, losing interest, etc., the Gold Diggers disbanded. Almost immediately, the Siskiyou Antique Bottle Collectors Association was formed with the annual show being held upstairs in the US Hotel Ballroom in J'ville. 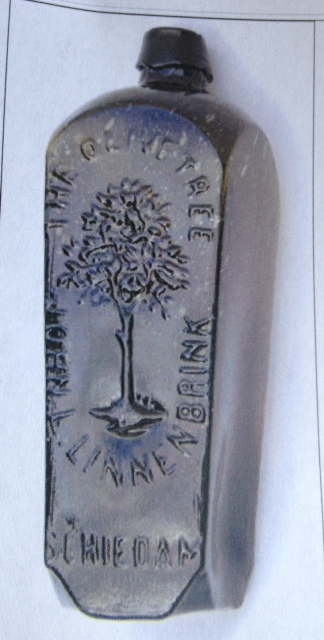 That club was active for several years, but ultimately suffered the same fate as the Gold Diggers. 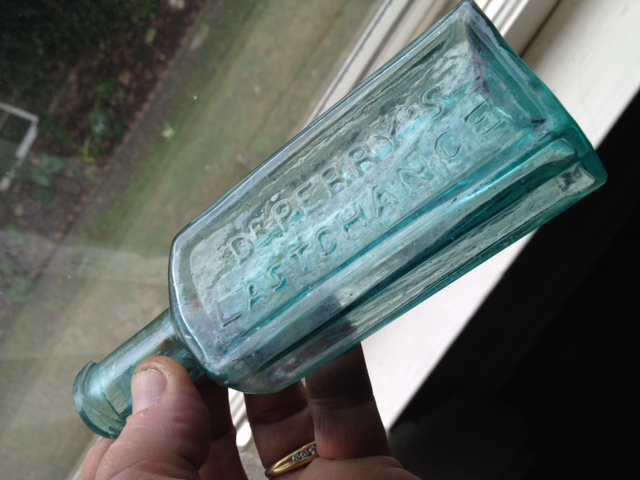 Enter the Jefferson State Antique Bottle Collectors; or "JSABC". Tradition was cast to the wind and the shows were held at a variety of less than stellar locations ranging from a rundown Grange Hall in Central Point to a Scottish Rite Temple out in the pucker brush of east Medford. Seven Feathers ("7F") entered the picture shortly after 2000. It was a great facility, and the show gained momentum for years. Starting with roughly 40 tables, the show peaked out at over 70. But, 7F became increasingly difficult to deal with. A 33% increase in lease fees for the facility in 2015 put the writing on the wall. The straw that broke the camel's back occurred just before Christmas, when I received word that they'd 1) increased costs yet again and 2) broken their promise that we'd remain scheduled annually for our traditional first weekend in October. Merry Christmas... Nearly fifteen years of hard work building the show, gone. The look on my face when I got the call was no doubt the same as that on the miners faces 150 year ago; a combination of frustration and despair. Stick a fork in Canyonville, it was a done deal; a good run while it lasted~. Sometimes the solution to a problem is right under our noses and it just takes a kick in the pants to see it. Boy, did 7F ever give me one. A couple of weeks ago, out of the blue, I got a phone call from Greg King, owner of "Glory Days Antiques" in Medford. Glory Days is the premier antique mall in Southern Oregon. Greg has helped push the Canyonville Show for years through word of mouth advertising and by handing out flyers to anyone coming through his doors. Greg was negotiating with the Jackson County Expo to produce a large regional venue by the name of the Rogue Valley Antique Show. 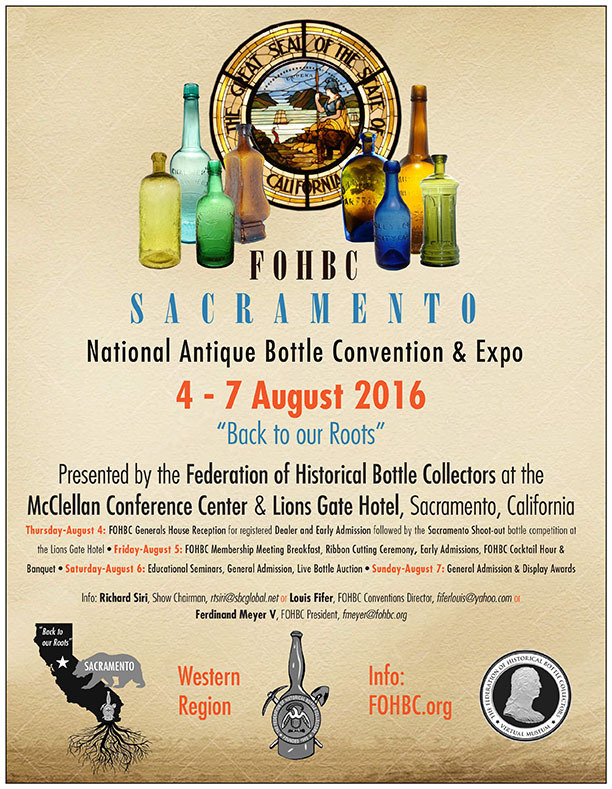 Would I be interested in co-producing the JSABC Antique Bottle and Insulator Show in the same building on the same weekend? My answer was an immediate and resounding YES! Back to our roots! 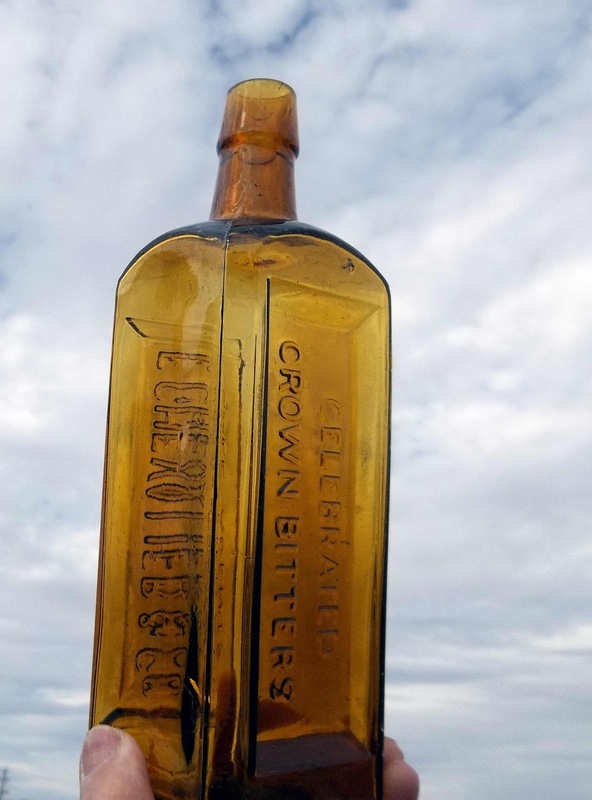 It is with great pleasure that I announce the first annual "Jefferson State Antique Bottle and Insulator Expo" to be held May 6,7,8 2016 at the Jackson County Expo complex just off of I5 in Central Point, Oregon (just 2 minutes north of Medford). This venue will replace the now defunct Canyonville Show. We are signing the contracts this week and have the tentative table and booth locations drawn up and submitted to the Fire Marshall for approval. We will initially start out this year with 50 tables for bottle and insulator dealers, which will occupy roughly half of the 10,000 square foot building. Stay tuned for updates as planning progresses. Thanks for your patience, understanding and continued support. Calico fabric was a type of cotton printed with small, repeating patterns named after its point of origin, Calicutta (now Kolkata), India. The fabric was quite popular in England and the Western world and the Steamboat Arabia had several calico dresses that sadly did not survive that much time underwater. The dresses did have porcelain buttons printed in the same patterns as the dresses, however, which shows us what kinds of designs people were wearing back in those times. Went to a permission that changed their mind. Knocked on a door... Got a permish. 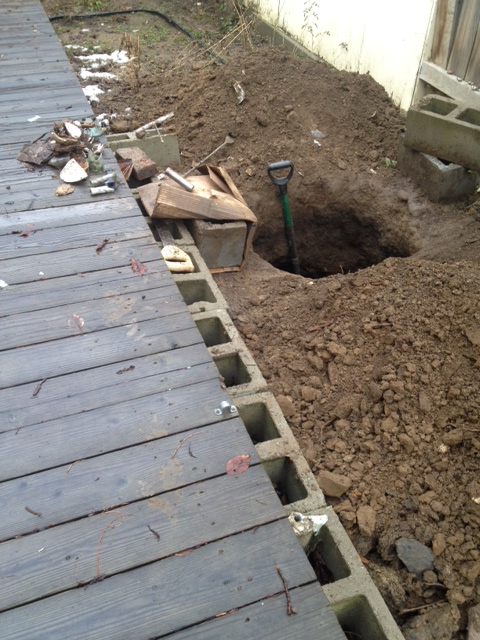 Probed a hole right off the back patio. Hit 70s trash. 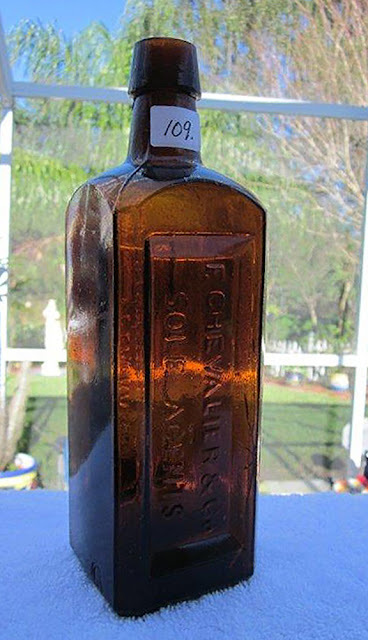 Found three broken earliest JF fifths, three broken Clubhouse Gins, an early intact spice, some broken foods, a few early slicks and a couple nice bottles. 2015 produced some fabulous gold rush relics. Not all by me but now in my collection. 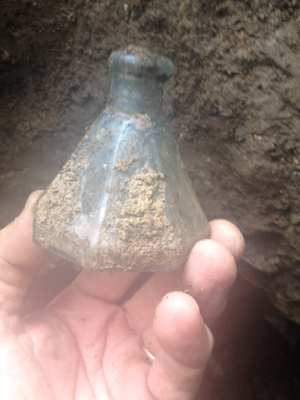 The rarest piece is The Navy officers buckle circa 1837 to 1845 and the first one I have seen found in the gold camps. Have a great 2016 and never give up the hunt.